You may have heard by now that IKEA has decided not to open their store in Nashville next year as planned. And if you read the local news, they don’t give a reason. Or even their best guess. Which naturally got Nashville discussing WHY on social media. Some folks blamed the loss of Mayor Barry. Or even the defeat of transit at the polls earlier this month. 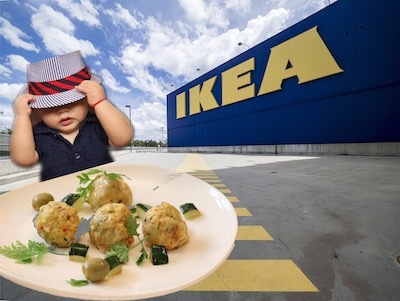 I wasn’t convinced that IKEA turned sour on Nashville. Looking beyond the Cumberland Rim, I discovered a few recent announcements from the Swedish Furniture Giant. First, they are canceling a few new stores they planned for next year, including Phoenix, AZ and Cary, NC. Second, they are changing the focus of their business model towards more online sales and home delivery. Maybe they see themselves as becoming the Amazon of furniture. It will be interesting to watch for sure. Last, they want to move away from the giant stores in the suburbs, to smaller stores in urban areas. They want to get closer to who they consider their core customers. Currently, they plan for 5-10 years before opening a store today. They want to chop that down to three years at most. In the end, they hope to become a lean, mean meatball selling machine. But this doesn’t mean the end of the line for Nashville. I expect them to announce plans for a new, smaller store closer to downtown in the near future. While this is bad news for Antioch today. It’s not the end of the world for Nashville. We will grow stronger from this loss. The Daily Deal in Nashville is this renovated cottage in Inglewood [East Nashville] that would make a great investment or first home. It’s listed for less than $300,000.